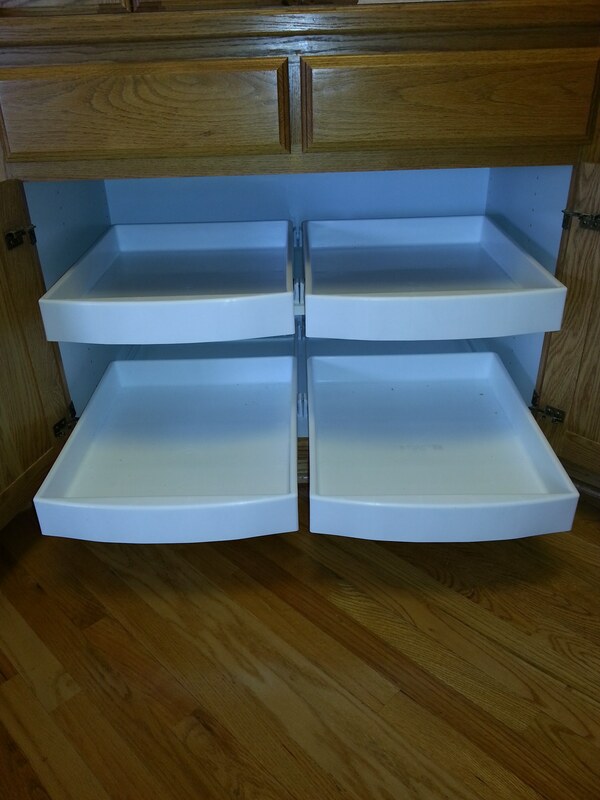 These are some roll out shelves we installed for a customer in Wichita this week. They are polypropylene plastic reinforced with fiberglass and steel. They are 3 inches high and can hold 60-100 pounds of weight. 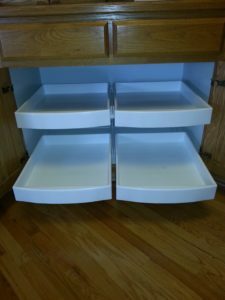 While they run $50-$60 per drawer plus installation and some minor cabinet modification, these are by far the best drawers we’ve seen. The shelves make retrieving things in the back of the cabinet so much easier, especially for the elderly or disabled. They can also be easily wiped out with a Clorox wipe. 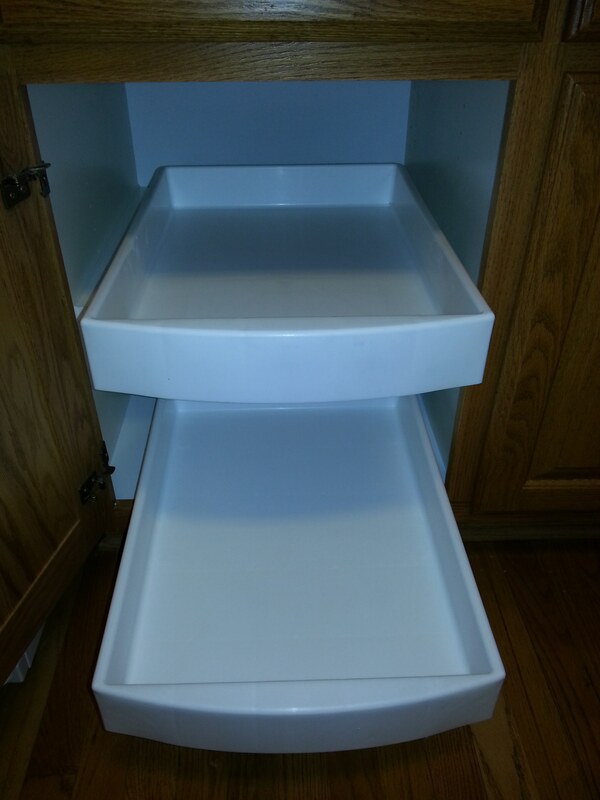 See here for your self what sets these apart, and then call us to order some for your kitchen and get them installed.